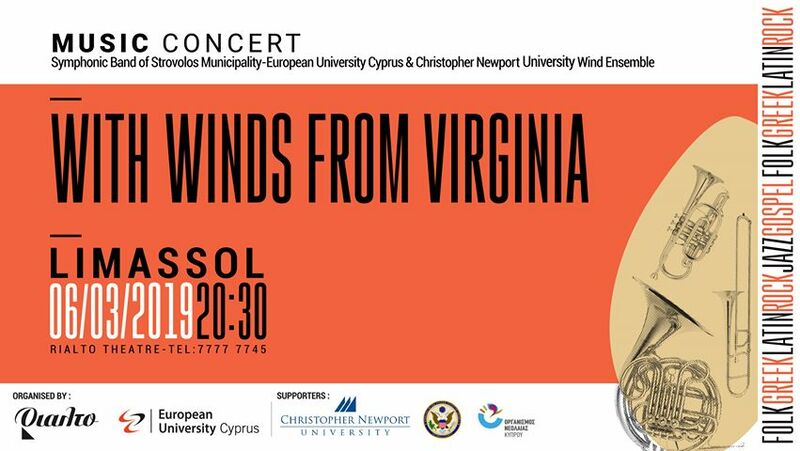 A unique concert with the Symphonic Band of Strovolos Municipality - European University Cyprus joining forces with the Wind Ensemble of Christopher Newport University from Virginia, USA. The 85-member band will present a diverse repertoire from the world of folk, rock, jazz and gospel music, as well as Latin selections, in tune with the carnival period. Artistic directors: Dr. Mark Reimer & Dr. Yiannis Myralis. Selected by The Princeton Review to be included in Best 382 Colleges 2018, Christopher Newport University is a public school offering a private school experience -- great teaching, small classes and a safe, vibrant campus. A “student-first, teaching-first” community, CNU is dedicated to the ideals of scholarship, leadership and service. The University is located in Newport News, Virginia, and enrolls 5,000 students. Academic programs at CNU encompass more than 90 areas of study, from biology to business administration and political science to the performing arts. The University has recently completed nearly $1 billion in capital construction on its 260-acre campus, generated nearly 8,000 applications for a freshmen class of 1,200 and has been ranked by U.S. News & World Report as fourth among public regional universities in the South and 11th among all regional universities in the South. The Christopher Newport University Wind Ensemble is comprised of the University’s most accomplished wind and percussion performers, most of whom are majoring in music. 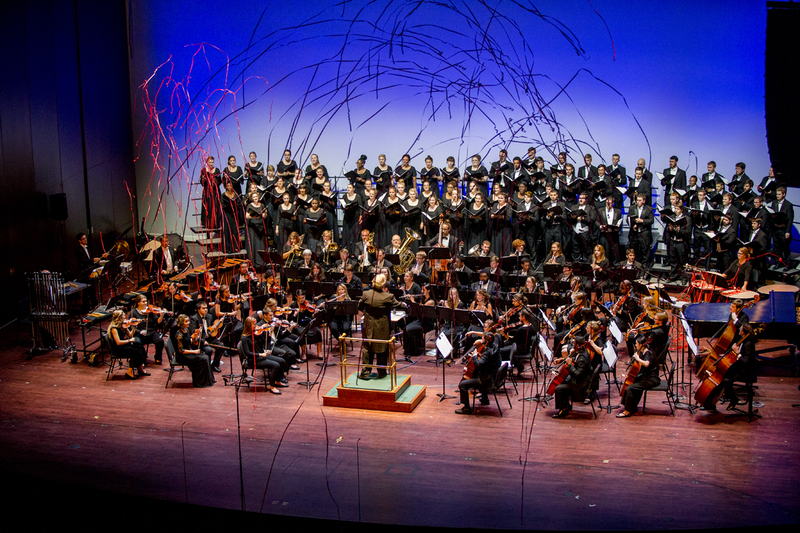 With its home in the University’s beautiful Ferguson Center for the Arts, the Wind Ensemble performs several concerts a year in addition to performing international tours and participating in special events and ceremonies. The Wind Ensemble interacts with guest composers, conductors, and soloists, continually raising performance standards through challenging repertoire and immersing students in cultures and performance practices from around the world. Dr. Mark U. Reimer is Distinguished Professor of Music, the George and Mary Torggler Professor of Music, and Director of Music at Christopher Newport University. He is national vice president/president elect of Pi Kappa Lambda, the national music honor society, an accreditation visitation chair for the National Association of Schools of Music, past president of the College Division of the Virginia Music Educators Association, past province governor of Phi Mu Alpha Sinfonia, and the 2011 recipient of the CNU Alumni Society Award for Excellence in Teaching and Mentoring. A recipient of an Indiana University Fellowship to Germany, Dr. Reimer founded the Journal of Performing Arts Leadership in Higher Education and has published articles in the leading international magazines and journals, including the Journal of Band Research, Journal of the College Band Directors National Association, Music Educators Journal, Research and Issues in Music Education, The Instrumentalist, Journal of the World Association of Symphonic Bands and Ensembles, Alta Musica of the International Society for the Promotion and Investigation of Wind Music, American Music Teacher of the Music Teachers National Association, TUBA Journal, Conference Proceedings of the Global Awareness Society International, and the Journal of Performing Arts Leadership in Higher Education. He has presented papers in Germany, Hungary, Italy, Turkey, New York, New Orleans, San Francisco, Norfolk, Washington, D.C., and Williamsburg. Dr. Reimer is a member of the International Society for the Promotion and Investigation of Wind Music, the College Band Directors National Association, the National Association for Music Education, and the College Music Society. Dr. Reimer earned the Bachelor of Music Education degree from Drake University, the Master of Music degree in wind conducting and literature from the University of Cincinnati College-Conservatory of Music where he served as the Assistant Conductor of the CCM Brass Choir, and the Doctor of Music degree in wind conducting and literature from Indiana University, the first student to earn this degree. His conducting teachers include Ray Cramer, Terrence Milligan, and Don Marcouiller, and his brass teachers include Harvey Phillips, Sam Green, and Robert Weast. At Christopher Newport University, Dr. Reimer conducts the Wind Ensemble and teaches undergraduate and graduate courses in conducting and wind literature. He serves frequently as a guest conductor, clinician, and adjudicator in the United States and abroad and has led the Wind Ensemble in international tours that have included performances in Estonia, Germany, Latvia, Lithuania, The Netherlands, Scotland, and Slovenia. With international students coming from Greece, China, Germany, Italy, USA, United Kingdom, Austria, Russia, Ireland, France, Jordan, Ukraine, Norway, and Israel, European University Cyprus offers a thriving learning environment of over 6,000 students that integrates teaching, research and experiential learning. European University Cyprus is the first university in Cyprus and Greece to be rated by QS TOP UNIVERSITIES, the independent and most authoritative university-rating tool globally, securing the highest distinction of 5-Stars in Teaching, Employability, Facilities, Inclusiveness, Social Responsibility and Internationalization. In addition, the European Union-funded multi-dimensional tool U-Multirank that ranks universities and colleges worldwide has granted European University Cyprus the highest ranking in two key strategic areas, Research and International Orientation. European University Cyprus is the only private university in Cyprus to have joined 816 distinguished and historic universities that form the internationally recognized organization Observatory Magna Charta Universitatum espousing the principles of academic freedom, institutional autonomy, and independence as a guideline for good governance and the effective operation of universities. The Microsoft Innovation Center is one of only 110 such centers worldwide, strengthening the university’s focus on innovative research. Its Medical School is the most modern in the eastern Mediterranean region, and the Dentistry program, the first in the country, offers the most comprehensive studies in the field of Medicine and Health Sciences, attracting academics and students from around the world. The Department of Arts offers a Bachelor of Music and a Bachelor of Arts in Graphic Design, a Music Education graduate degree (conventional and long distance) and a doctorate in Music Education. Dr. Yiannis Miralis is Associate Professor of Music Education and Saxophone, Vice Dean of the School of Humanities, Social and Education Sciences, International Relations coordinator of the Department of Arts and Coordinator of the graduate program in Music Education at European University Cyprus. He has rich and diverse experience in teaching music at all levels (K-12) both in Cyprus and the USA. Dr. Miralis served served as Assistant Professor of Music Education and Saxophone at the Lionel Hampton School of Music of the University of Idaho in the USA (2001 to 2004). He was also a visiting assistant professor at the University of Cyprus and adjunct faculty at the University of Windsor in Canada. He has been at European University Cyprus (ex Cyprus College) since 2005. His areas of specialization are focusing on instrumental music education, multicultural music education and world music pedagogy, history of Cypriot music education and preservice music teacher training. He is the director of the Symphonic Band of Strovolos Municipality-European University Cyprus and has published articles and book chapters at international journals. 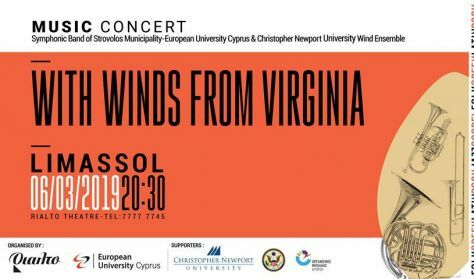 He is the conductor of the wind band of the Cyprus Symphony Youth Orchestra and the Limassol Music School and he has been invited to conduct wind ensembles in Greece and the USA. Dr. Miralis is also an active saxophonist and chamber musician and has performed as soloist with the Cyprus Symphony Orchestra and the Macedonian Saxophone Quartet. He is also founding member of the Transcontinental and Cyprus Saxophone Quartets, the Mediterranean Trio, and the Cyprus Big Band. He is member of various professional organizations, a board member of the European Chamber Music Teachers’ Association (ECMTA), and current chair of the Forum for Instrumental and Vocal Teaching of the International Society for Music Education (ISME). Dr. Miralis earned the Doctor of Philosophy degree from Michigan State University, the Master of Music degree from Bowling Green State University, the Bachelor of Music degree from Lawrence University and the Teacher’s Diploma from the Pedagogical Academy of Cyprus.